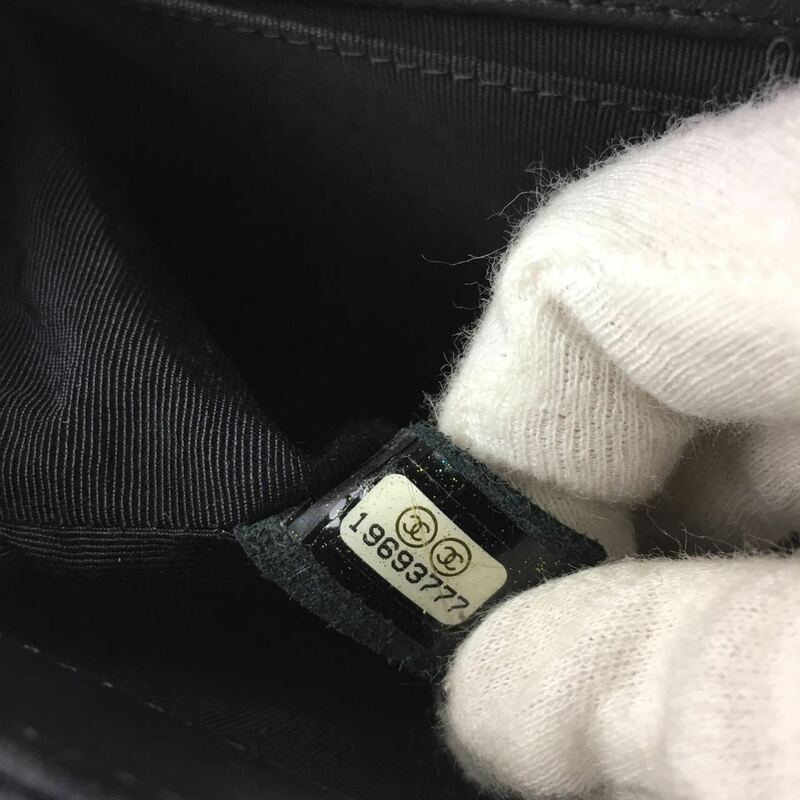 Up for sale is an ULTRA RARE AND ABSOLUTELY STUNNING AUTHENTIC CHANEL PEARLY BLACK QUILTED LAMBSKIN MEDIUM BOY FLAP BAG WITH GOLDTONE HARDWARE!!! This chic shoulder bag is crafted of luxurious PEARLY BLACK lambskin leather. 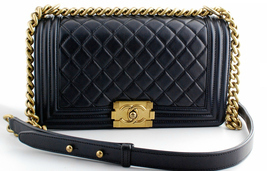 The bag features a goldtone chain shoulder strap with a leather shoulder pad, a diamond-quilted crossover flap with a linear-quilted border, and a goldtone CC boy push lock. Bag can be worn on the shoulder or cross body. The flap opens to a black fabric interior with a flat pocket. This is an ideal shoulder bag for day and evening, from Chanel! MADE IN FRANCE. Bag is in excellent condition with very minor signs of use. 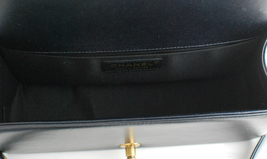 Comes with matching authenticity card, Chanel dust bag and Chanel box. GUARANTEED 100% AUTHENTIC. PLEASE PURCHASE WITH CONFIDENCE.